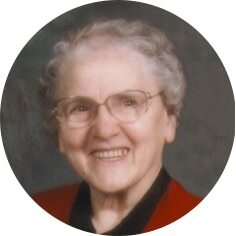 Olive Marguerita Hannah, aged 90 years of Moose Jaw, SK. passed away on Thursday, January 24th, 2019. She was predeceased by her husband, Howard; son, Donald; parents, Ebor and Emma Fennell; sisters, Lila Ashdown and Gladys Smith; and brother, Clifford Fennell. Greeta is survived by her daughters: Karen Hannah, Brenda (Ivan) Stevens, and Rhonda Hannah; 17 grandchildren and 13 great-grandchildren; special nephew and nieces: Pat (Carmen) Hannah, Bernadette Hannah, and Maureen Hannah; as well as numerous nieces and nephews. A Celebration of Greeta’s Life will be held on Saturday, February 2nd, 2019 at 11:30 a.m. in the Harvey Room at Moose Jaw Funeral Home. Pastor Walter Engel will officiate and a private interment will take place at Sunset Cemetery at a later date. A Time of Visitation for Family and Friends will be held prior to the service starting at 10:30 a.m. As an expression of sympathy, donations in Greeta’s name may be made to the Global Advance Fund c/o The Christian and Missionary Alliance in Canada, Unit 10 – 7560 Airport Road, Mississauga, ON, L4T 4H4. Arrangements are entrusted to Moose Jaw Funeral Home, 268 Mulberry Lane. Gary McDowell, Funeral Director 306-693-4550. 1Corithians 15 : 21 – 23. We extend to all of you as family our love and sympathy. Greeta really was an amazing person. We have so many good memories of her and her love for the Lord and for all of us. God bless you all as you treasure her memory in your hearts. I worked at Prudential Insurance when Howard Hannah was an agent so met his wife many times at functions and they were very special to me (even though we could never find a relationship between our families). I would like to extend my sincere condolences to the entire family at this sad time. Today you celebrated your Mom’s life. Although we were unable to attend we had the joy of uplifting you all in prayer. We extend our sincere condolences and pray that in the days ahead you will feel His presence all around you. We would like to send our sympathy and prayers to Karen , Brenda and Rhonda and their families . Your mom was a very special person . She was always cheerful when we visited them even though she was not that well . I know you will miss her very much . We praise God that she is now with her Heavenly Father . Love and prayers to the family .